Business metrics measure how successful a company is, and how well it is performing. Whilst there are a range of long-standing metrics, some mandatory, for measuring financial and product/service performance and more recently, customer satisfaction, applying metrics to leadership and management performance will be a new and challenging area for many. For every leader who loves numbers, there is a sceptic. They both have points. Without measures, we cannot tell how we are doing, yet many metrics seem arbitrary or measure the wrong thing. Often the right goals, especially those concerning leadership and management, seem immeasurable. Everything that truly matters in business can be measured somehow. This claim always generates push back by people who either have not thought their outcomes through, or who think “measure” can only ever mean “measure precisely with a meter using an internationally defined standard unit.” In fact “good enough” and “useful enough” measures on leadership and management matters often serve their purpose well. Do not delay as you try to craft the “perfect” metric, just start measuring. 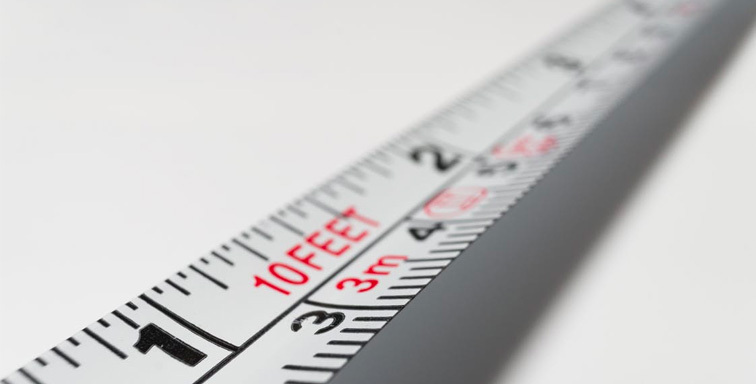 Once people accept that they have to measure, they will start to push to improve the measures and any flaws in your metrics will quickly become apparent. Find others who have measured it. Your best results with metrics will come when you treat them like a flashlight to illuminate a situation, not like a club with which you bludgeon people. You should also feed back the numbers on a regular basis in line with operational cycles. For example, after every shift, accounting cycle or sales period. Here are some examples of how things can be measured. These can be used to ask employees a wide range of questions about a wide range of issues. However, to be effective, the questions need to be consistent, permit a range of answers such as strongly agree, agree, neither agree or disagree, disagree, strongly disagree, and repeated regularly (not less than annually). Where questions refer to “managers or leaders” it should be made clear whether this is referring to those with whom the employee has regular contact (i.e. their line manager) or more senior managers with whom they only have occasional contact. Subsequently the actual performance against each of these headings can be recorded to show actual performance against expected performance, a useful metric! This can be achieved in many instances by a simple “You said, we did” sheet showing how the organisation has responded to suggestions or comments by staff. Effective and accurate communications are an essential feature of a well-managed business. Establishing a communications map of both formal and informal communication links enables gaps and weak links to be identified and effectiveness audits carried out. Effective metrics can be developed for almost all aspects of leadership and management. If you think you have an outcome in your business that cannot be measured, please get in touch. We love a challenge.